KID-FRIENDLY - Kids can do many projects with these wooden eggs! You can use them to make personalized Easter eggs, charming home and kitchen decorations, and store displays, or simply paint them with various colors to make eye-catching embellishments! 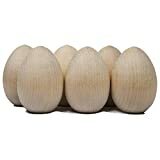 NO SPLINTERS - These wooden eggs have been smoothed down to the point of having no splinters. Their surfaces are easy to draw, paint, or put glue on. They can be stained or jeweled. They're perfectly safe for craft-making sessions at home or in the classroom or simply as mementos for special occasions. 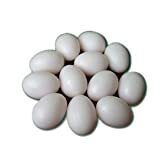 EXCELLENT QUALITY - The Woodpecker Crafts Unpainted Wooden Eggs are made from high-quality wood and are much sturdier than any other wooden eggs on the market. 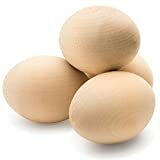 Perfect for your craft projects, you can use these wooden eggs to make props for photo shoots, parties, puppet shows, baby showers, and more! 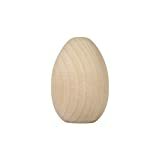 SMOOTH SURFACE - These Unpainted Wooden Eggs by Woodpecker Crafts have smooth surfaces that do not need further sanding. 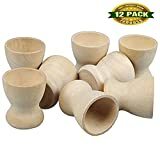 They are made from kiln-dried hardwood and measure 2-1/2 x 1-3/4" in diameter. EXCELLENT CUSTOMER SERVICE - Our customer service personnel are all highly trained and ready to answer any of your inquiries or concerns. We will be glad to assist you.